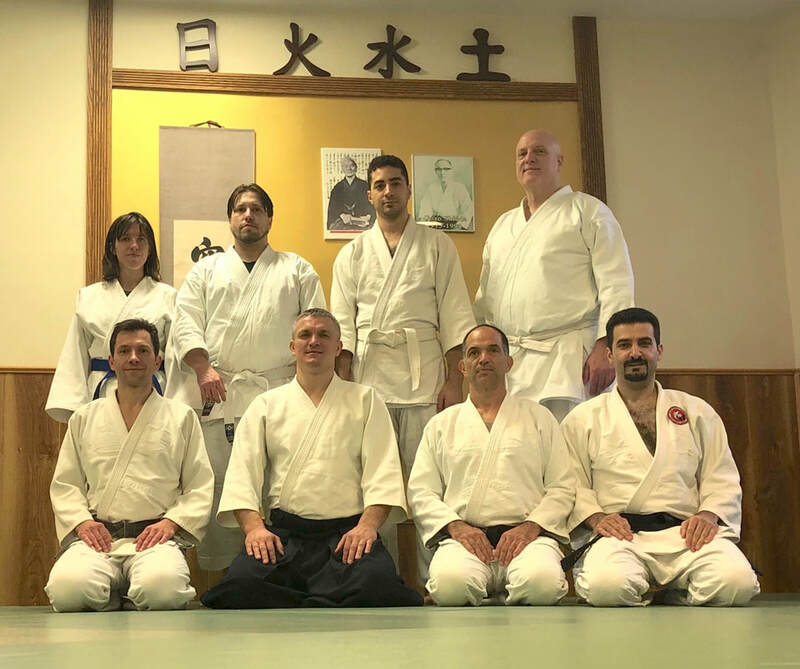 2019 marks Roman Solonyy Sensei's 20 years in Aikido and 15 years of teaching Aikido in USA. Our dojo will host a series of events and seminars dedicating to celebrating Roman Sensei's anniversaries in his Aikido life. The first and very important to Roman Solonyy Sensei was the seminar with Roman Limariev Sensei. Limariev Sensei taught Solonyy Sensei Aikido in Ukraine. He was the first to show Solonyy Sensei the power and beauty of the Art. Only because of example and teachings of Limariev Sensei, Solonyy Sensei has been learning and teaching Aikido until now. The seminar had great success among participants and everyone unanimously expressed their desire to have Limariev Sensei to return back for more seminars like this one. Our dojo will schedule more seminars with Limariev Sensei in the future. Stay tuned. Roman Solonyy Sensei's Seminar at DC Yoshinkan Aikido "HANA"
On April 14-16, 2017, Roman Solonyy, Sensei visited DC Yoshinkan Aikido "HANA" Dojo with a three day seminar. Thank you to Sean Gray and Mike Wood Senseis for the great time and dedicated training. It was great to seeing their dojo growing in numbers and their students ready and willing to put hard work to learn Aikido Yoshinkan techniques and principals. New York Yoshinkan and DC Yoshinkan Aikido "HANA" dojos are opened to practitioners of all styles of aikido and other martial arts. We firmly believe that Aikido is the art of peace and harmony. That is why there is no restrictions for practitioners of other styles and arts to take our classes and participate in our seminars. Visit our dojos and see for yourself what you can learn. Stay tuned for our upcoming events. Osu! This year we had a great seminar with David Fryberger Sensei, 6th Dan. This was a four-day seminar filled with Sensei's insights into the basic aikido techniques, principles and various excercises that can improve our aikido techniques. This seminar was also special because we had participants at the seminar from San Diego, California; Washington DC; and Boston. 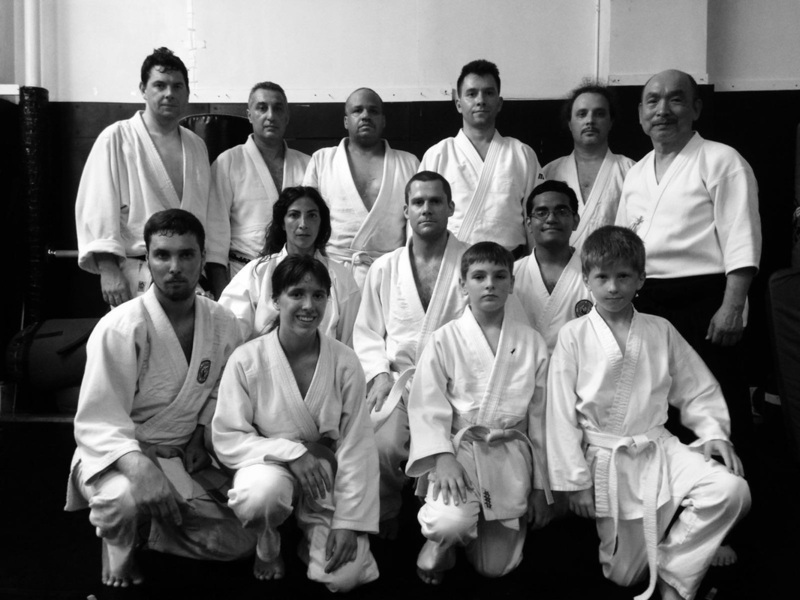 All four days we met and practiced in Genyukan Dojo, in Forest Hills, New York. Special thanks to Roman Pinkhasov Sensei and Genyukan Dojo for allowing us to use their space and for their continuous support. We thank Fryberger Sensei for visiting New York, his teachings and support our Dojo's mission. We are looking forward to the next year's seminar with David Fryberger Sensei. Last Saturday, our dojo was honored to host a seminar with Yukio Utada, Kancho, 7th Dan Aikido, Founder and Chief Instructor of Doshinkan Aikido International. At the seminar, Utada Kancho discussed and had us to practice basic movements: kamae, taino henko (body change) 1, 2 and Hiriki no yosei (elbow power) 1, 2. 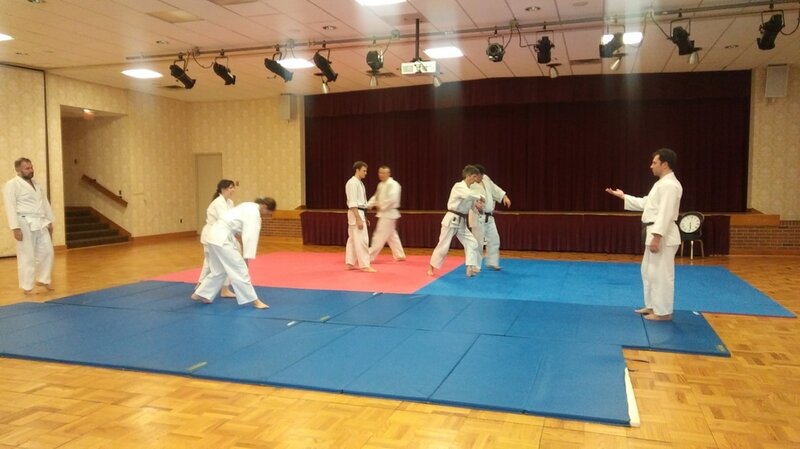 Also, we practiced tai sabaki, such as: open step, body change, cross-step forward and cross-step back. Utada-Kancho explained that one of the purposes to practice these exercises is to become aware of our bodies and surroundings. 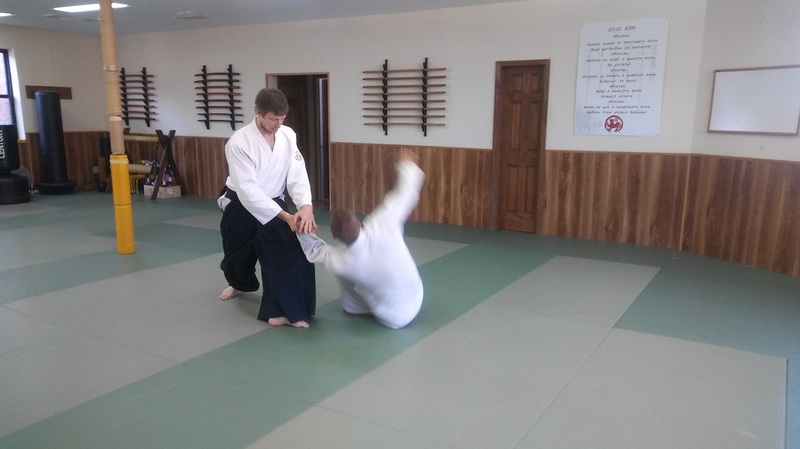 We also practiced few iriminage techniques through which Utada-Kancho demonstrated the importance of connection, proper distance and positioning between partners, and use of timing in aikido practice. In addition to this excellent aikido practice, we had great workout. Thank you, Utada-Kancho for the excellent seminar, great insight into basic aikido principles and ways to improve our aikido practice. We also thank you Roman Pinkhasov, Sensei from Genyukan Dojo, Forest Hills, NY and his students, Mike Wood, Sensei from Washington, DC, and Nikolay Shustov from Boston Doshin Aiki Center, Newton, MA for their support and participation. 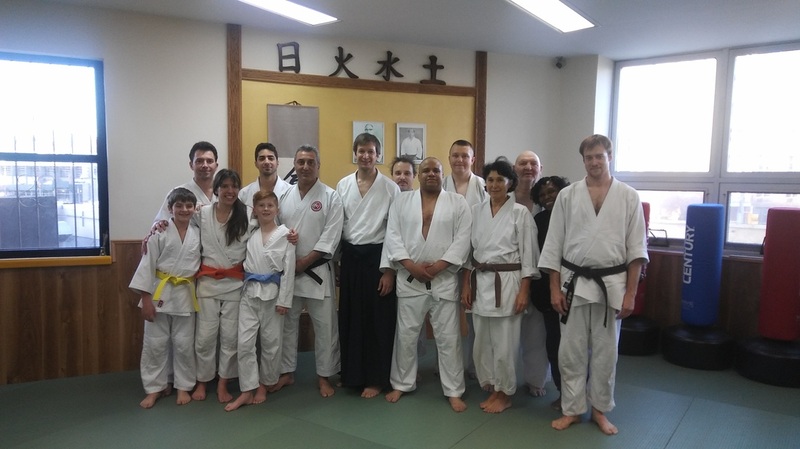 Last weekend our dojo hosted aikido seminar with our sensei David Fryberger, 5th Dan. As always, Fryberger Sensei brought with him new insights in various aikido techniques. However, this time we spend significantly more than usual time examining and developing fundamental elements (or principles) of aikido such as: proper posture (kamae); center line and focused power. Sensei offered us an opportunity to experience and practice them through a variety of different exercises. Those exercises clearly showed areas that require additional work and benchmarks that we should aim to attain through our practice. Thank you, Fryberger Sensei for the great seminar and your desire to share your knowledge and expertise with all aikido practitioners who came to the seminar. Also, we would like to thank to Genyukan and Bond Street Dojos for allowing us to use their facilities to conduct our seminar. We also had some good time outside the dojo. We took a little walk on Sunday afternoon to the "High Line." It is great place to go for a walk or to do some sight seeing.